Blogging.....ahh, my greatest outlet for personal expression since Facebook! (Can I say that?) I just did. But, I gotta tell ya, I love blogging!! Don't get me wrong, FB is good in its own right. To me though, blogging is like writing in a diary that you aren't going to hide under a mattress. It is one that you want the world to see. And I am finding out along the way, there are people out there blogging too, about what they love and want to share with the world. It is about meeting people who have projects and ideas similar to my own or entirely different. In meeting these people, not only do I get a feel for who they are, I also get great inspiration from their projects. For that, I'd like to say a big "THANK YOU" to my fellow bloggers. I've just opened up an online store for vintage items and handmade (by me) barefoot sandals and anything else I can find in my treasure troves. This is a really big adventure for me and I hope it does well. I love to compute, and I thought..."you know, I'm not getting any younger and I have lots of stuff accumulated over the years." I need to clean the clutter and free myself of these treasures that are tucked away in all the nooks and crannies in my home. I need someone else to enjoy these items as I once did. 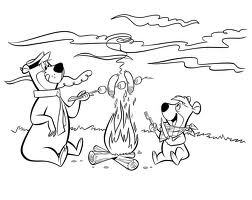 Even though I am so not ready for the upcoming holiday, aka Christmas....(always known as = aka)....I feel a bit of nip in the air and it makes me think of toasting marshmallows on an open fire. One of lifes simple pleasures. That, and the fact that I saw a recipe on Pinterest for homemade s'mores cookies....oh my!!!!! Hi Gail, it's Gail.....it seems to be working now. Keep your fingers crossed! that is awsum love the pics and all!! !good job! Thank you Jason! And thanks for becoming a member of my blog!